Ariocarpus kotschoubeyanus LRM280, a typical flowering specimen. Ariocarpus kotschoubeyanus LRM280, in mud flats east of Huizache. Ariocarpus kotschoubeyanus LRM280, Habitat near Santa Domingo, east of Huizache. 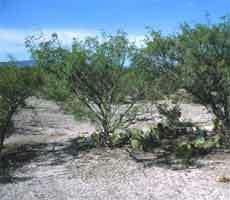 These plants, which are geographically very close to Anderson’s neotype locality, have medium sized bodies and solid pink flowers in keeping with the north-south cline in body size demonstrated by this species. 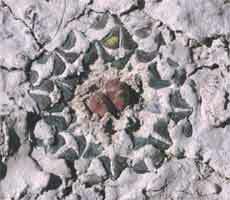 The plants grow on typical ‘kot’ gypsum mud flat planes amongst low bushes. 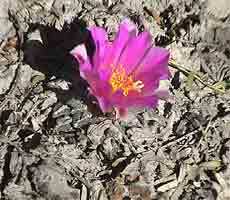 They are accompanied by Lophophora williamsii, Mammillaria sp., and Opuntia sp.